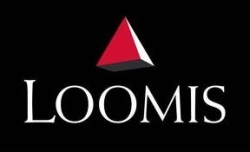 Loomis is the international leader in the cash handling services industry. Loomis has operations in 13 countries: the US, Sweden, Norway, Finland, Denmark, UK, France, Austria, Slovenia, Slovakia, Switzerland, Spain, and Portugal. An extensive international presence is an important asset, contributing a considerable amount of collective expertise in cash. The accelerating pace of commerce is changing the dynamics of the entire financial supply chain. In this environment‚ trying to manage individual pieces of the cash and check distribution system can be both inefficient and unnecessarily costly. Banks and financial institutions along with retail and commercial businesses require more comprehensive solutions that help to streamline cash handling‚ decrease operating costs‚ and increase profit margins. As the world’s leading cash management specialist‚ Loomis is uniquely qualified to provide integrated solutions that boost the bottom line for your business. Our extensive cash management network integrates technology‚ cash management services‚ and armored transportation to provide the product and service solutions that deliver the results you need. Some of the benefits of our integrated solutions include faster deposit credit‚ direct cost savings through operational improvements‚ less time required to manage the cash flow process‚ real time access to the information you need‚ and reduced losses and casualty avoidance in your place of business. As the specialist at creating efficient cash flow‚ we take the worry out of running your business. Loomis focuses on your cash handling so you can focus on your business. Cash in transit is the core of our business. Our secure transport vehicles collect and deliver cash and valuables daily across stores, banks, deposit boxes, and ATMs. We understand it is vital to ensure that the right amount of cash is available in the right place at the right time, and that’s why we use special systems to optimize our routes.